A few years ago Luis Sottomayer (Head winemaker for Casa Ferreirinha and all Sogrape Port Wine brands) told me “Late Bottled Vintage (LBV) Ports are the quality of vintage ports 10 years ago.” It spoke volumes about the quality-focused changes in the Douro. At the time, we were tasting 2008 LBVs, the Sandeman particularly excellent. The just released full-bodied 2011 LBVs are an even more compelling case in point. No surprise given the universal acclaim for this vintage but boy, these have to be among the wine world’s greatest bargains. Here are my picks of the bunch thus far. Tasting this with Sottomayer in December he told us that the colour of LBVs has increased by 80% in the last few years – quite something! This deep crimson, unfiltered LBV, part foot trodden in lagares, part pumped over in vat, is a grippy, peppery, well-structured blend of 55% Touriga Franca, 25% Tinta Roriz, 20% Touriga Nacional with cocoa-dusted sweet raspberry, juicy black berry/currant and esteva. Though it’s very expressive now, with a lively firecracker peppery finish, a chassis of firm but fine, powdery tannins and fresh acidity suggests it will age very well into the mid-term. 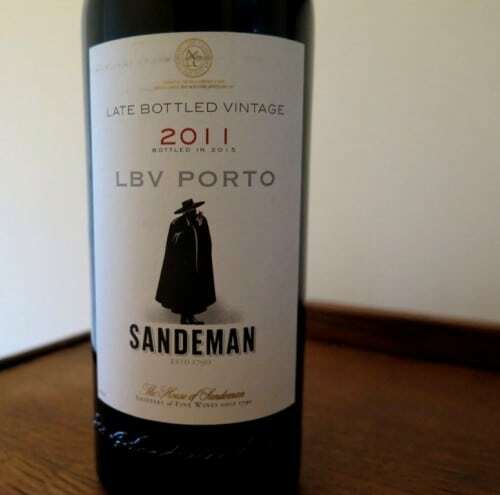 Incidentally, in undeclared vintages, the LBV has benefited from the cream of the crop of Sandeman’s Port grapes. However, Sandeman Quinta do Seixo Single Quinta Vintage Port 2013 would have taken the rump of it from this flagship estate. I asked Sottomayor if this Single Quinta Vintage Port – the first ever from Seixo (and only the second in the history of the company)- would be made again and, if so, would this impact on the quality of the LBV. The answer is yes and no. Sottomayor replied “it will change the quantity of LBV going forward, but not the quality of it…we must maintain the quality of every year.” The 2011 LBV will be sold at Waitrose, RRP £15 [Click here for my December 2017 post which reviews this LBV and outlines my top tips on smart buys and ready to drink Ports]. Also made by Sottomayor (and owned by Sogrape), the Ferreira is a blend of 55% Touriga Franca, 25% Touriga Nacional, 10% Tinta Roriz, 5% Sousão, 5% Tinto Cão. It’s a very deep hue with an intense concentration of blackcurrant and a tangible charge of fine iron filing tannins on the attack and going through. Super-youthful, it finishes quite dry (as in one’s impression of sweetness) and firm with a lively green, peppery edge. A bundle of energy with heaps in reserve. £18.95 at Oakham Wines. A mix of (mostly) old field blend fruit with Touriga Nacional, Touriga Franca, Tinta Cão and Sousão. This inky unfiltered, lagares-fermented LBV has vividly concentrated fruit firmly in the driving seat, well supported by ripe tannins. Great depth, but lovely lift too, with a lick of violets to its long finish. RRP £15-20; €25.95 at O’Brien’s. I am getting more and more excited about this vineyard since Jorge Moreira took the helm at Real Companhia Velha (as to which watch this space for my notes on more releases/news from RCV). This Quinta’s aged vines lends serious heft with signature spicy fruit – lashings of liquorice – and a mineral (coal) edge to its concentrated core of fresh and dried plum. A firm but ripe backbone of tannins frames it beautifully. This is a vigorous, highly individual single quinta LBV. Very concentrated and heady, with sweet black fruits, orange blossom and bergamot lift to nose and palate. Fine chocolately tannins reinforce its generous, most bountiful character. An LBV with hipsway; it will keep, but resistance may well prove futile! Still you will have to be patient to get your mits on it. I’m told it will become available in the (UK) market in the Autumn. This LBV may be filtered but, with more concentration and structure than usual, it doesn’t taste it. It’s classic Taylor’s – quite buttoned up after the Fonseca (though it shares its beguiling orange blossom perfume), with sinewy tannins to frame its juicy, fleshier plum and blackberry fruit. A terrific buy. £15 at Tesco. Click here for my notes on 35 2011 Vintage Ports.